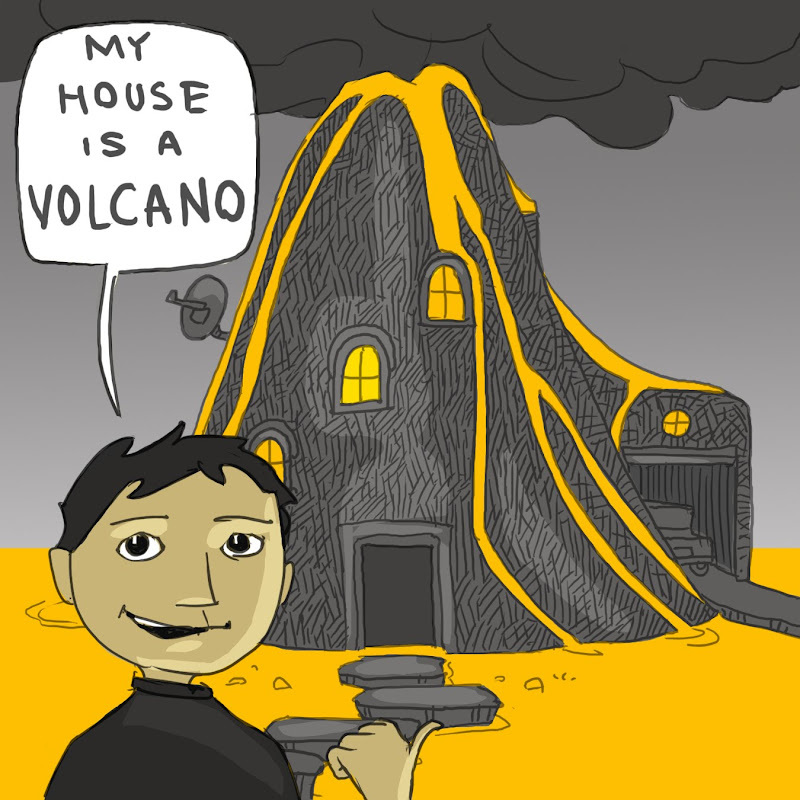 A kid lives in a volcano. The book is a tour of his house and how it works. In this house, the ground really is hot lava. I jumped over from Shannon's blog. I actually love this idea. It's like Magic School Bus, but he LIVES there! Very neat idea.